The 1997 United Nations Convention on the Law of the Non-Navigational Uses of International Watercourses (United Nations Watercourses Convention) will enter into force on 17 August 2014. The accession by Viet Nam to the United Nations Watercourses Convention on 19 May 2014 triggered its entry into force by bringing the number of Parties to the required total of 35. “I welcome this breakthrough for transboundary water cooperation and international water law worldwide and congratulate the Parties to the United Nations Watercourses Convention”, declared Mr. Michael Møller, Under-Secretary-General of the United Nations. Mr. Møller is the Acting Executive Secretary of the United Nations Economic Commission for Europe (UNECE), which provides the secretariat for the 1992 Convention on the Protection and Use of Transboundary Watercourses and International Lakes (Water Convention), the only other global treaty on transboundary water resources. Experience accumulated during 18 years since the entry into force of the UNECE Water Convention can help countries that have joined the United Nations Watercourses Convention to streamline their implementation efforts. Together, the two Conventions should help all countries to reap the benefits of transboundary water cooperation. A number of countries are already Party to both legal frameworks. 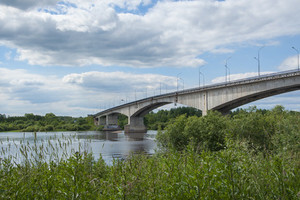 The 1992 UNECE Water Convention, in force since 1996, has been the key framework instrument governing the management of transboundary water resources in the pan-European region. The implementation of the Convention has made a great difference on the ground and has led to significant improvement in transboundary water management in the UNECE region, making it the most advanced in this respect worldwide. Building on the successes achieved, the Parties to the Convention amended it in 2003 to open it up to all Member States of the United Nations. The amendments entered into force on 6 February 2013. It is expected that non-UNECE countries will be able to accede to this instrument as of end of 2014. The 1997 United Nations Watercourses Convention seeks to ensure the development, conservation, management and protection of international watercourses and the promotion of their optimal and sustainable utilization. The Convention was negotiated over the course of almost 30 years by the United Nations International Law Commission and subsequently adopted by the United Nations General Assembly. An international campaign, led by the World Wide Fund for Nature, in cooperation with many partners, has greatly contributed to its entry into force. The two Conventions are fully compatible and complementary. For example, the 1997 Watercourses Convention details factors for equitable and reasonable water resources utilization while the 1992 Water Convention prescribes the content of transboundary water agreements and the tasks of joint institutions for transboundary water cooperation. There are also some differences between the two Conventions, most notably with regard to the provision of an institutional framework. The 1992 Water Convention has a governing body — the Meeting of the Parties — and subsidiary bodies supported by the UNECE secretariat, whereas no such framework is envisaged in the 1997 Watercourses Convention.